Landmark Restaurant Executive Chef Steven Keen began his cooking career at an early age, and his culinary journey made important stops in ALaska, Hawaii and Wisconsin before his arrival in Bayfield. Mr. Keen is joined in the kitchen by Bryce Stevenson. Bryce has experience in restaurants from San Francisco to Chicago to Milwaukee. A creative menu features a daily multicourse tasting menu, emphasizing local ingredients in season. Dinner guest will find a selection of small plates, soups and salads available ala carte. Chefs Keen and Stevenson bring a level of refinement to the Inn’s artfully prepared dishes. The team makes great use of the incredible local ingredients we are so fortunate to have here on the Bayfield Penninsula. We invite you to join us for a meal and experience Chef Steven and Bryce’s talents for yourself. 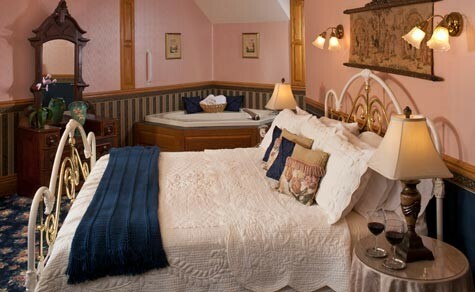 Each year, Old Rittenhouse Inn and Bayfield, WI, host many Special Events creating even more reasons to visit the “Best Little Town in the Midwest” at any time of year. View the many Bayfield, Wisconsin events.